By Radical HK. Translated by Joe Fong. Police dogs were once again used during Monday’s protests outside the China Liaison Office, Beijing’s organ in Hong Kong. The use of dogs at mass demonstrations started two years ago during the pro-democracy Umbrella Movement. 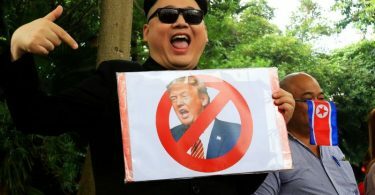 Photos of canines deployed at the protests were widely circulated on Facebook, drawing heavy criticism that the police disregarded the animals’ safety. While police officers are fully equipped with helmets, shields, studded gloves and gas masks, the dogs just wear harnesses, with nothing to protect them from pepper spray. The police are not only trying to intimidate protesters with the strength and sharp teeth of the dogs, but are probably also trying to appeal to the protesters’ sympathy – who would want to throw bricks and bottles at the dogs? 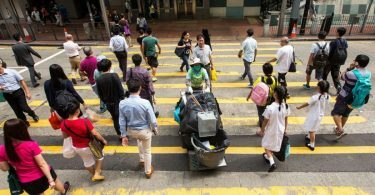 During the Umbrella Movement, animal rights groups in Hong Kong signed petitions calling on the police to stop using dogs at demonstrations. They even reported the case to the police, asking if the Police Dog Unit had breached the Prevention of Cruelty to Animals Ordinance. However, the case was classified as “miscellaneous” and remains uninvestigated. 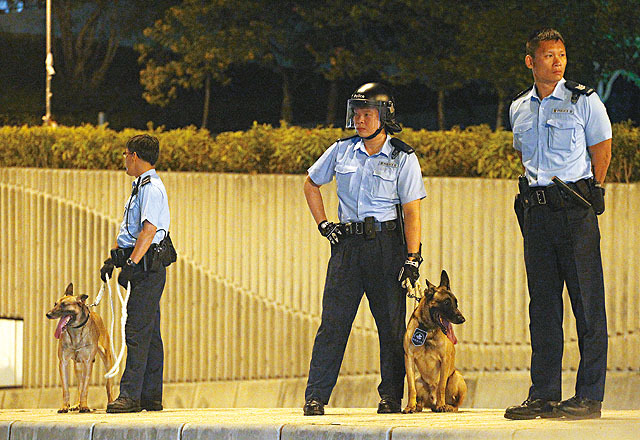 Police dogs during the 2014 Occupy protests. Photo: AppleDaily. I personally have asked the police about the purpose, number, and guidelines for deploying police dogs at protests. But they only gave short answers: the use of police dogs to assist frontline officers with maintaining order and dealing with emergencies depends on the situation. If police dogs die on duty, they will be cremated. Although police forces in some countries also use canines and even horses on deployments, those in more advanced countries have gradually stopped the practice in response to demands by animal rights groups. For example, the use of dogs or horses at demonstrations has been banned in Belgium since 2014, on the grounds that dogs may lose control in commotions or crowded areas. There have also been cases in which dog handlers were bitten or canines were killed while on duty. In fact, in Belgium, the use of police dogs and horses during rallies is now treated as use of offensive weapons. Police dogs were used during Sunday’s protest outside the China Liaison Office. Photo: Kris Cheng/HKFP. 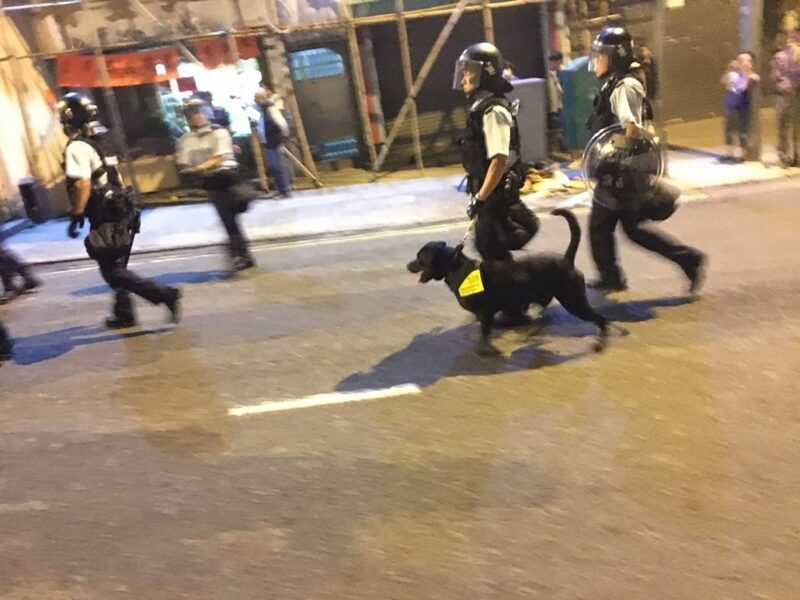 Police dogs have been widely used at mass demonstrations over the last couple of years in Hong Kong, despite strong opposition from society. 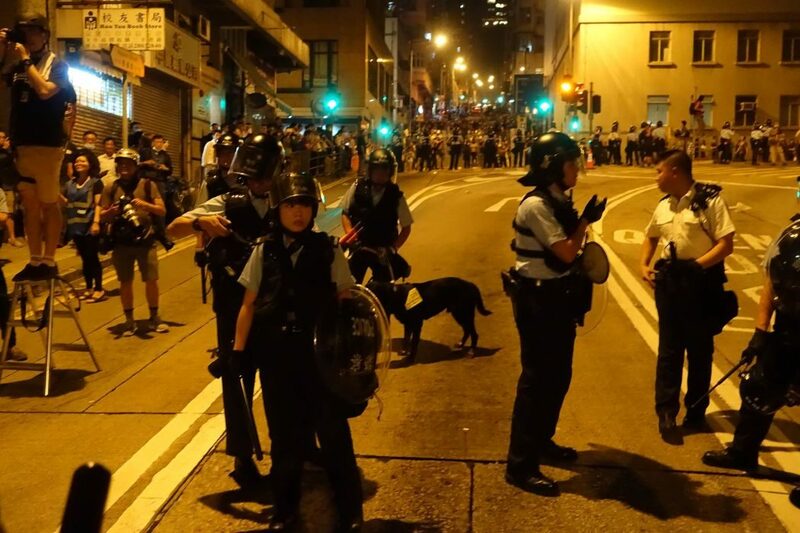 However, this time around, the public did not appear to be as angry compared with when police dogs were first used in the Umbrella Movement two years ago. Are we getting used to this, or do we no longer hope for public views to be taken seriously?